We finally had snow this week! Snow days for Wednesday, Thursday, and Friday! I was one happy camper. I love my job, but there is nothing like a snow day! When I'm not engrossed in a movie, I've been reading these new additions for our classroom library so I can tell the kids about them. I love children's books, but I may or may not be in need of a grown up book. Recommendations? 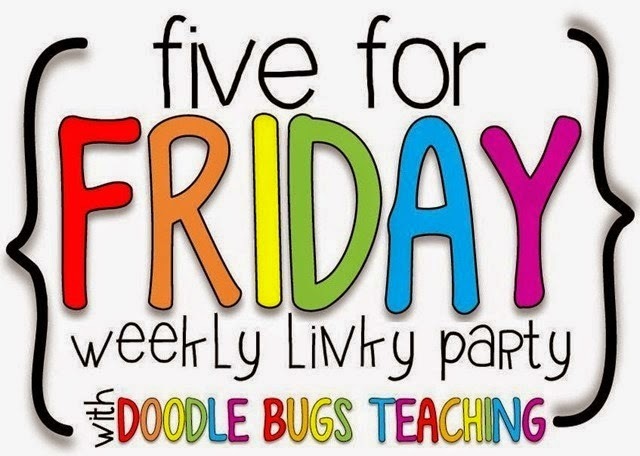 Link up with Doodle Bugs and share your Five for Friday! I love a good musical too!!! I haven't seen that one though. You piqued my curiosity so I may have to download it at some point in the near future. LOVE to see that you have Navigating Early! Clare Vanderpool is my husband's cousin!